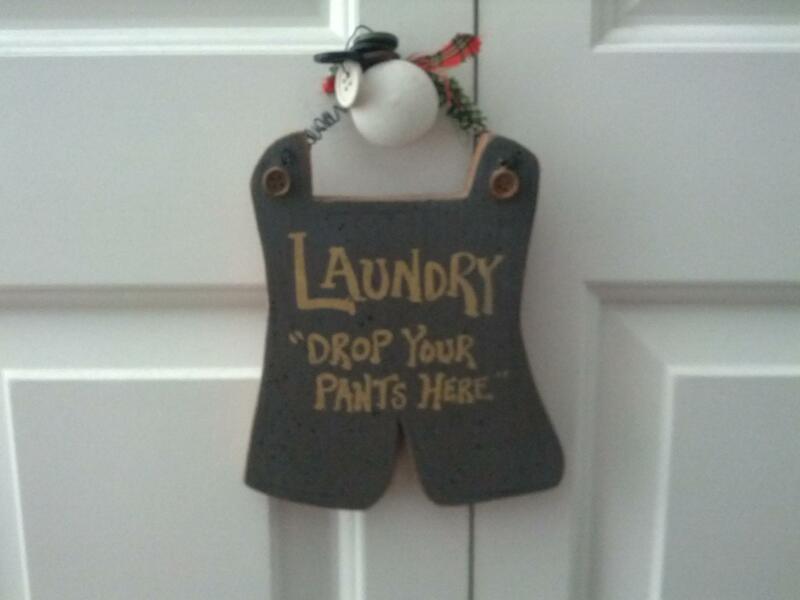 I do most of the laundry in our house, and it is because I am VERY specific about how I want things done. I started doing my own laundry in sixth or seventh grade. I had a black, yellow, and white track suit (made from that noisy polyester nylon blend… hot stuff! ), with matching jacket and pants. One time I wore it (I had worn it several times before, people associated it with a local high school because of the colors, even though it wasn’t from/for there), and when I got to school one of my friends pointed out some pink on the sleeve, I was traumatized. Not because of the pink, I wear plenty of pink and others colors, but because a color that wasn’t supposed to be there had been transferred from another article of clothing to mine. At that point I started doing my own laundry. I was not am and am not upset with my mom; she was doing laundry for four people at the time, mistakes happen. I think cooking and doing the laundry is as close as I’ll get to wizardry, and since I don’t do much cooking in giant cauldrons over a fire, the washing machine is where I get to mix things together. I am particular about how much of each detergent and other products I use, as well as what types. I separate the clothes by color: Whites, whites with colors, blacks, dark blues, bright blues, reds, pinks, yellows, oranges, purples, greens, dark browns, light browns, multis, and greys; I think I got them all listed right. Some of these can be mixed together, such as dark browns and dark greens, or pinks and reds, or maroons (part of the reds) and browns, or purples and dark blues, or yellows and oranges. I think you get the idea there. It is convoluted but makes sense in my head. But the most perplexing thing to my wife is how I count out how much can be in a load. Our washer and dryer can handle thirty “points” worth of clothes. “What the heck is a point?” Good question. A t-shirt equals one point. Everything else I based on that, well, mostly. So if something has as much fabric as four t-shirts, then guess how many points it is… 4. One of Karah’s pants equals three points, mine equal four, heavy jeans are credited an additional point. Most of Karah’s shorts equal one point, mine are two. Ten pairs of socks equal three points. Things that are dirty but smaller than a t-shirt (such as a pair of underwear) are one point. Full size towels are four points. You kinda get the picture? So, ya, I’m a bit eccentric with the laundry, but we have a good system. I wash, Karah folds and puts away. Our blacks stay super-dark, our whites stay super-white, and my colors don’t leak onto outfits of other colors (seriously mom, I’m not sore about it, really), and Karah has one less thing to do around the house.